Keeping up with marketing trends now means a closer look at the role of video and the revolution it is bringing to the fore. In point of fact, it accounts for 64% of all Internet traffic (Cisco Visual Networking Index) and it is sure to reach 80% in just a few years. It is so popular as to dominate most promotional advertising campaigns. Literally billions are spent to reach customers through this ubiquitous medium. Entrepreneurs are coming to the conclusion that you can’t spent too much. It is just like we said about mobile, which is still in its heyday. It seems you can’t go wrong to target video viewing, even on the beleaguered PC. Everything is growing and expanding at a rollicking rate—up 70% from last year for small businesses with budgets under $10,000 for annual expenditures, and up 131% for those with larger outlays. Video is thus advertising’s next frontier. It is more than cost effective, and like they say, “a picture is worth a thousand words.” Just one minute of video equates to almost two million words of text. People have better visual memories than any other kind, and the videos stick with them. Statistics state that 80% of Internet users watch videos regularly. Of these, almost half take some kind of responsive action such as seeking additional information or visiting the companion website. Thus it is typical for consumers to use videos as purchasing guides and entrees to new products and services. People follow up and convert to buyers or at least prospects for future sales. They either go straight to a landing page, call the company, or contact customer service by email. In the process, they inevitably visit the website’s store. The good news is that a great percentage make a purchase the same day. A low budget video is under $5,000, which doesn’t make it any less effective. It can easily go viral and generate massive orders online. It is entirely possible to get millions of views if it is well-conceived. It’s all about creativity and innovation, not cash. There are tips of the trade to help newbies get with the picture, literally. 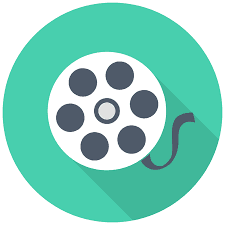 They can use simpler video formats without actors and special effects. Animation always ranks high, even if it is rudimentary. Another trick is to use photo montages to create flow without movement. In effect parallax technology can create motion from still photos. There is more you can do. The videos don’t need to be long to be effective. After all, most people have short attention spend, way under a minute. But if the information is presented in an interesting and fun manner, people will stick with it. When in doubt, however, cut the script to its bare bones. Using video is thus a super great idea, and it can even be bundled with other services like websites and landing pages to control costs. Video integration: SEO strategies exist to affect ranking, so content is king. Video can have it in spades. Quality speaks in any media mix on a website. The search engines eat it up. When a page has rich media that matches search requests, it is a win win for everyone. 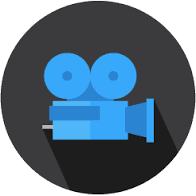 Video is thus a surefire way to boost page rank. Keyword labels need immediate attention. They give the search engines the fuel to work with and help those precious rankings. Images, videos, and all kinds of graphics are smart solutions to rich content. If keywords are apt, it ramps up their effect tenfold. Use them in titles, file names, tags, and descriptions. Your video will gain enormously in relevance and search results. Video transcript documents the audio portion of your video and gives you one more way to be found. Don’t look a gift horse in the mouth. Video sitemap re-enforces keyword labels in a different way and they are actually an offshoot or extension of your general sitemap. You can customize the metadata in terms of view count, duration, rating, and age appropriateness. Consider it another ranking provocation that works. YouTube hosting is vital for a good video. After all, it is the second largest search engine as far as queries go. Don’t forget is belongs to Google. Yes, you can host your video on your own website for SEO purposes, what really is better than this search engine of great repute. You can’t beat the exposure if you are a small business. It could be one of the best strategies you will take. Optimize videos for load time. Creating a good video includes optimizing it for load time in order to pass inspection with Google’s algorithm. Plus, users prefer fast loading. Slow sites are the kiss of death so avoid them like the plague. Three seconds tops is the norm once the play button is activated. Backlinking from your YouTube video is another handy strategy that works wonders in terms of search engine results. In order to execute this plan, you simply create a channel and insert your web page into the profile. In the video description, insert your link. Social Media is the ever-present buzz word for marketing. It’s all about getting liked and prompting people to watch that video of yours. The search engines want to know about valuable content and thus viewership reigns supreme. If you want to be found, put social media at the top of your marketing strategy list. As you can see, video is the wave of the future, even as it is clearly entrenched now. It is going to get bigger and better as time goes on in terms of accessibility and popularity. If consumers love it, so will the marketers. They follow the crowd. It will become more affordable and therefore more available to smaller businesses. The future bodes well for the Internet mega-industry.